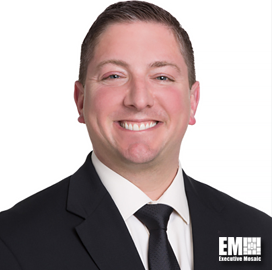 Sean Palleschi, formerly associate finance director of aerostructures division at United Technologies Corp.’s (NYSE: UTX) aerospace systems business, has joined Cubic’s (NYSE: CUB) global defense segment as vice president of financial operations and controller. Dave Buss, president of Cubic Global Defense, said in a statement published Tuesday Palleschi’s previous experience as controller and operational finance background would be an asset to the leadership team as the company continues to grow its global business. Palleschi held balance sheet and controls, profit and loss and compliance responsibilities for regionals and geared turbofan programs during his tenure at UTAS Aerostructures. He served for 14 years at UTC’s Pratt & Whitney subsidiary, where he held finance leadership positions that include financial planning and analysis manager for AeroPower business and finance controller for the firm’s military auxiliary power engines unit.